How could a human ego know it is nothing but a figment of a greater mind—and yet remain a human being? How could a physical eye see infinite light—and yet remain an eye? How could a stone scream out that there is nothing else but G‑d—and yet remain a stone? It must be that the true reality of all things is not to be, but to know. 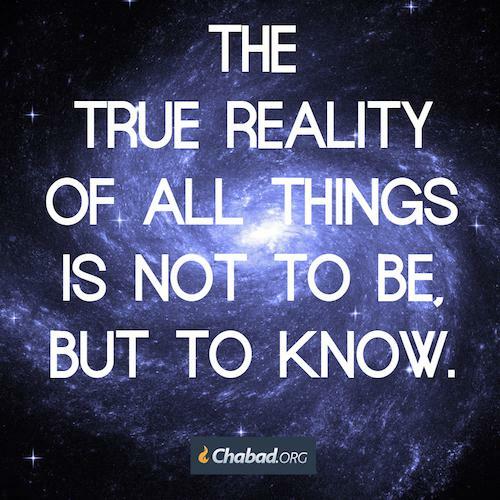 There is nothing else but knowing that there is nothing else but G‑d.